Parents know that finding the right Child restraint system (CRS) is a vital part of protecting our children on the road. Here at Nissan, we have always recognized that the safety of our passengers is at the core of everything we do. This is why, in 2002, we started the Snug Kids® program. 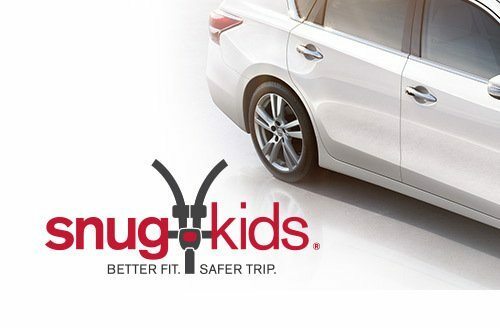 Snug Kids® is an industry-first initiative designed to help Nissan drivers navigate the sometimes-confusing world of CRS. Nissan safety engineers, certified as Child Passenger Safety Technicians, have spent thousands of hours evaluating hundreds of child restraints. The CRS were installed in our vehicles, in all appropriate modes of use, including rear-facing, forward-facing, and booster. In 2011, Nissan announced its planned participation in the Vehicle-CRS Fit Program, an initiative proposed by the National Highway Traffic Safety Administration (NHTSA). Much like the Snug Kids® program, the Vehicle-CRS Fit Program is designed to help consumers choose a child restraint system for their vehicle. When installing a Child Restraint System (CRS), always follow the instructions provided by the manufacturer and your Nissan vehicle’s owner’s manual. You may also find the following tips helpful for installing your CRS as tightly as possible. Using a non-slip mat can help stabilize the CRS against the vehicle’s seat bottom and seatback, especially on a slick seating surface, such as leather. Kitchen cabinet liner material works quite well. For rear-facing restraints, ‘pool noodles’ or rolled towels can help can help stabilize and help provide a proper installation angle for the infant restraint. Pool noodles are long, round pieces of foam that are used as water toys, which can be cut to a length of 10 – 12 inches and placed under the CRS for proper installation. To install the CRS tightly, it is easier if a second person helps you. While one person pushes down and into the seatback to compress the seat cushions, the second person should pull the seat belt tightly around the CRS to remove all slack. Confirm that the belt is not twisted and the buckle is positioned correctly. A twisted belt or improperly facing buckle may inhibit proper tightening. Be careful not to pinch the seat belt webbing when pushing down on the CRS. If the person pushing down on the CRS is also pushing down the on the webbing, the webbing cannot tighten around the CRS. If the vehicle’s seatback is adjustable, as in some sport utility vehicles or vans, it can be advantageous to first install the CRS with the seatback somewhat reclined. Then, after securing the CRS, move the vehicle seatback upright. This will tighten the installation significantly. Tighten the belt around the CRS in stages. First, tighten the lap belt by pulling the webbing through the buckle location. Then pull the excess webbing into the shoulder belt and continue to tighten. For proper tether installation and routing for vehicles with rear head restraints, please see your vehicle’s owner’s manual. For installation of high back boosters, adjustment or removal of a vehicle’s adjustable head restraint may improve its fit. All new CRSs manufactured after 9/1/02 are LATCH-equipped (Lower Anchors and Tethers for Children). These CRSs do not require the use of the vehicle’s seat belts for installation. See the CRS and the vehicle’s owner’s manual for installation instructions. When the installation is complete, the installation should be checked by pushing side-to-side on the restraint at the belt routing location. If the movement is more than an inch, additional tightening is necessary. If after several attempts at tightening, an inch or less movement cannot be attained, try a different seating location or call Nissan at 1-800-NISSAN-3 for assistance. A child under the age of 1 year should always ride in a rear-facing CRS. A child should remain in a rear-facing CRS until they reach the maximum height or weight allowed by the CRS manufacturer. Keep a child in a rear-facing CRS as long as possible. A child should use a forward-facing CRS with a harness until they reach the maximum height or weight limit allowed by the CRS manufacturer. Keep a child in the forward-facing seat with harness for as long as possible. Booster Seats (Large Children) Once the child outgrows the forward-facing CRS, a booster seat should be used to obtain proper seat belt fit (see description below). Once the child has grown so the shoulder belt is no longer on or near the face and neck and the lap belt can be positioned properly across the lower hips or upper thighs, use the seat belt without the booster seat. The program provides consumers with the Snug Kids® Child Restraint System Fit Guide, a comprehensive manual that helps parents and caretakers confidently select a CRS that fits their specific vehicle, and provides valuable tips on the proper installation, fit, and use.